Cuckoo is a long established supplier of fantastic fashion, creative, science and nature products. They distribute toys for a wide range of licences including Calafant, Schaffer and Small World Toys, the maker of "tag" fashion kits for boys and girls. Customize 6 metal tags using the 65 rub-on decals and special marker. Set includes 6 metal tags with chains, 65 decals, 2 applicator sticks plus special coloured marker. Customize 6 metal tags with 225 glittering stickers and special marker. 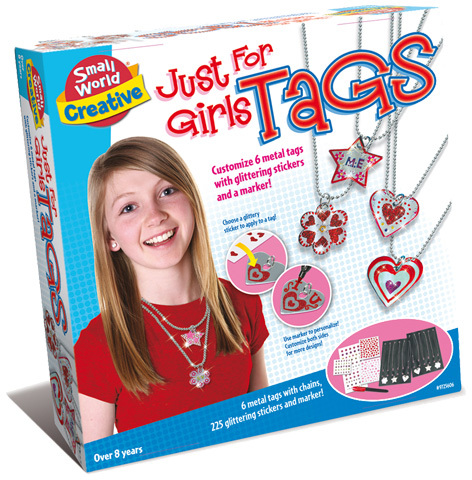 Set includes 6 metal tags with chains, 225 stickers plus special coloured marker. Stickers include shiny hearts, stars, flowers and letters. 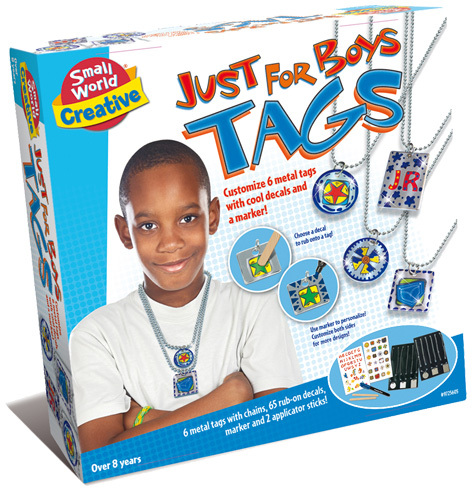 Please tell us what you think of the Just For Boys and Just For Girls Tags.